Make showing and swiping IDs quick and easy. 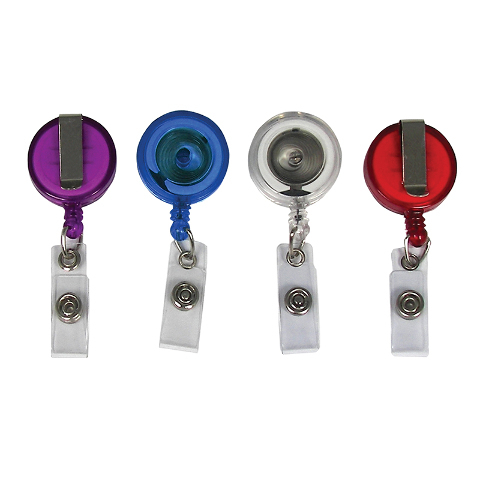 Translucent badge reel features belt clip to firmly attach to belts, backpacks and purses. Retractable 30-inch cord. Clear vinyl snap-on strap. 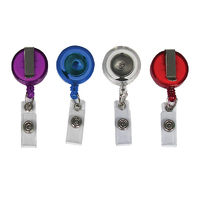 Assortment includes 1 each red, blue, clear and purple.